What's Happened To MoT Service Reminders!? Two major groups representing businesses working in the motor trade have voiced worries that many drivers could, often unwittingly, find themselves on the wrong side of the law, and running the risk of a £1,000 fine. Their worries centre on the fact that the new system of buying a road fund licence - what used to be widely known as a tax disc - means that those who pay by monthly direct debit will no longer be notified when their MoT is about to expire. If a car owner keeps the vehicle for several years and takes it for the MoT test annually, this isn’t usually a problem, as they will often establish a relationship with their testing station, and it may have its own means of sending reminders to its customers. 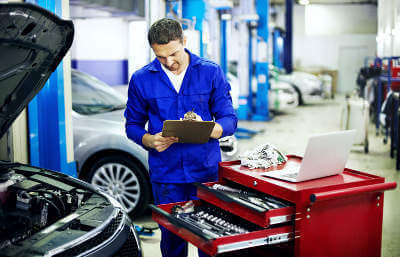 But the Retail Motor Industry Federation (RMI) and its counterpart in Scotland, the Scottish Motor Trade Association, say that potential problems often arise when a car changes ownership during the course of the validity of an MoT. If that car’s new owner opts to make monthly road tax payments, they won’t automatically be sent a reminder - usually sent a little over a month before the previous certificate’s expiry - telling them that they must renew the vehicle’s MoT. Whilst many drivers who are caught without the certificate in force are dealt with under the fixed penalty regime, meaning a fine of £60, the legal maximum which can be imposed is far higher - £1,000. Research by the Society of Motor Manufacturers and Traders in 2013 revealed that a third of motorists had admitted to driving a car without a valid MOT test. Now, three years on, the RMI is trying to uncover the true scale of the problem, by conducting a survey among its 8,000-plus members in England, Wales and Northern Ireland, asking them how widespread they believe the problem to be by confidentially asking them to state how many people bringing in their cars for their MoT don’t present any evidence of having a certificate which is still valid. If you have forgot to mot car, get one booked ASAP! The survey is designed to gather information from RMI and SMTA members about how widespread they perceive the problem to be, as it believes the number of cars running on the UK’s roads without a valid test certificate is likely to have risen since the discontinuation of automatic reminders to all motorists driving cars aged three years old and more. “The survey will unearth whether the industry has seen a rise in the number of people that have forgotten to MoT their car,” Mr James added. If it uncovers a higher level of MoT avoidance - however unintended - it is likely to launch a new drive to demand a change to the system for issuing reminders to the large proportion of drivers who currently slip through the net. “By creating a survey we can see if any damage has already been done,” said Mr James. His counterpart at the SMTA, Sandy Burgess, said it was essential for motorists to be reminded beforehand that their cars were due for an MoT test, “so that they don’t pose a danger to themselves and others on the road. One contributory factor why many drivers might not know the exact due date of their MoT test is the rise of packaged garage services, under which a car is put through the test at the same time as being given an annual service. And while these undoubtedly save on time and inconvenience - both chores are dealt with in a single visit - you’re at the mercy of the efficiency and reliability of the garage’s own systems for sending reminders as the anniversary of the previous service and test approaches. Unless you’re one of those super-organised drivers who keeps all their garage bills and receipts, that is. If you know the date and year on which you bought your brand new car, pinpointing the date of your first MoT test is easy. All you need is your vehicle registration document (V5), which will tell you the date on which it was first registered. Exactly three years after this date - and on the same date every year thereafter - is the time when it will first have to undergo an MoT. So when you buy the car brand new, it might be some way off, but it’s not a bad idea of make a separate note of when its first MoT will fall due, and keep it safe, separately from the car. As it’s usually a landmark date in your life, you should find it easy to remember. The problem arises when you haven’t owned the car from new, but again, the V5 can be used to give a good indication of when you should need to put the car in for the test. This is an important document anyway - you’ll need it in the event of any encounter with the police as it proves that you are the lawful keeper of the vehicle, so you should always keep it in a safe place (and not in the car itself). Look on the form for the ‘Date of first registration’, and try to memorise this. If necessary, use your existing diary or calendar systems - whichever way you note down all your important dates - and add a message in there. Some garages have come up with their own ways of trying to ensure that you know the date when your car’s test is due - they might make a note in your car’s service or log book, or we’ve come across others which have had special stickers printed onto which they write the date, and these are placed in a strategic location where you’ll see them regularly - inside the driver’s sun visor, or in the top corner of the driver’s side of the windscreen are both likely places where you might find one of these. You can legally take your car to be tested up to one calendar month before the actual due date, as this time acts as a ‘breathing space’ to enable you to have the time to get any work done which is found necessary, and still keep your car on the road with the same due date every year - apart from the time it takes for any repairs which are needed, of course. In fact, such an electronic MoT reminder service does already exist, through our website, at MyCarNeedsA.com. Once you’ve registered your vehicle’s details and asked for a quote for an MoT test from stations around your area, those details are saved on our records, and you get the chance to shop around in advance to find what stations in your area are charging. And that in itself is worthwhile, because although the official price of an MoT test for a car is £54.85 (as of May 2016), this charge is a maximum. You only need to type ‘MoT test’ into a search engine to find plenty of garages which advertise prices lower than this, which indicates how worthwhile it can be for you to shop around. More good news - with MyCarNeedsA.com, you don’t even need to do this yourself, because testing stations which are signed up to offer their services through our website will be able to quote you as part of your enquiry to them. So you can use price as one of the factors - along with the added convenience factors of a garage’s location, its opening hours, and the reviews it has been given by other customers - to help you decide where to have this essential job done. Knowing the due MoT date of your car is really a matter of consideration, for both your own safety and that of other road users. Think how you could handle a £1,000 sting on your finances if you forgot the date and were caught - then think again about how much remembering a simple date could save you. So whichever method you choose, it will pay to have it firmly planted in your consciousness. Do you have an unusual or surefire method for remembering when your car’s MoT is due? And are you one of those drivers who gets their car into a garage well before it expires, or do you leave it right until the last minute? We’d love to hear your thoughts on our Facebook page. Due an MoT? Get quotes from approved MoT centres near you. Failed Your MoT - What Next?